Prime Krakow festivals, spectacular events for audiences counted in hundreds of thousands, events organised around music, theatre, film, the beaux arts, and literature recognised throughout Poland and Europe – this is what Krakow Festival Office (KBF), one of Poland’s most active public institutions, does today. The purely organisational operations of the KBF are completed by championing functions in support of development of creative industries, cultural and business tourism, the meetings industry, and leisure time industries. The Krakow Festival Office operates the ICE Kraków Congress Centre. 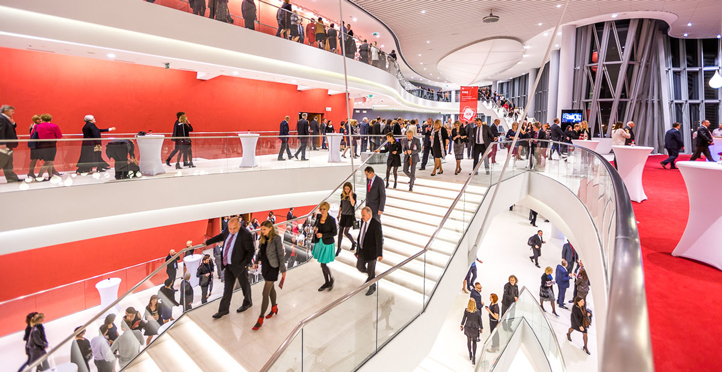 The Congress Centre is the city’s new business card, which has encouraged representatives of the MICE branch to organise their events in the capital of the Małopolska Region. 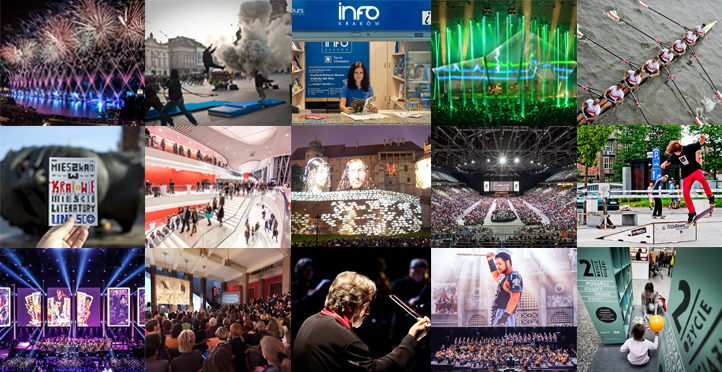 The ICE Kraków Project Team has been active since 2007, winning events to take place at the ICE Kraków Congress Centre. In consequence, there are bookings made in the Centre’s calendar for as far as 2020. Published uninterruptedly since 1996, the monthly Karnet provides complete information on Krakow cultural life. Thanks to the cooperation with the InfoKraków network and the permanent touch with organisers of events, it constitutes – for the citizens as well as for tourists visiting the city – an excellent sources of knowledge about hundreds of events that take place in Krakow each month. Bilingual (Polish-English) Karnet is available in the free magazines best distribution network in around 300 places in Krakow (including InfoKraków points, museums, galleries, cinemas, theatres, restaurants, coffee bars, pubs, shops, hotels and hostels). The InfoKraków Tourist Information Network (SIM) has been founded within the organizational structure of the Krakow Festival Office. Its main goal is to operate an overall integrated system of tourist and cultural information in the city. 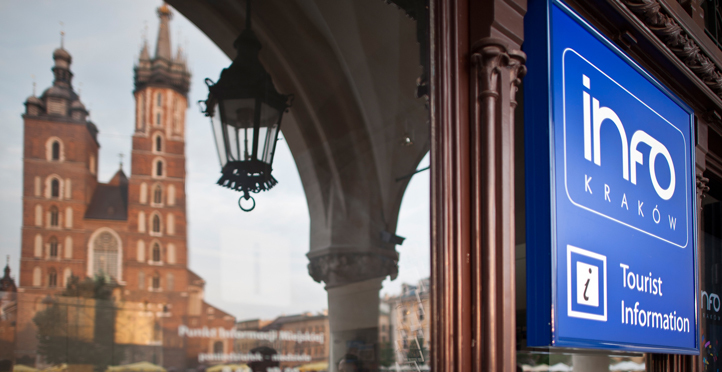 The network offers comprehensive services for Polish and international tourists and also for the inhabitants of Krakow. The system is partly self-financing through its own commercial activities. 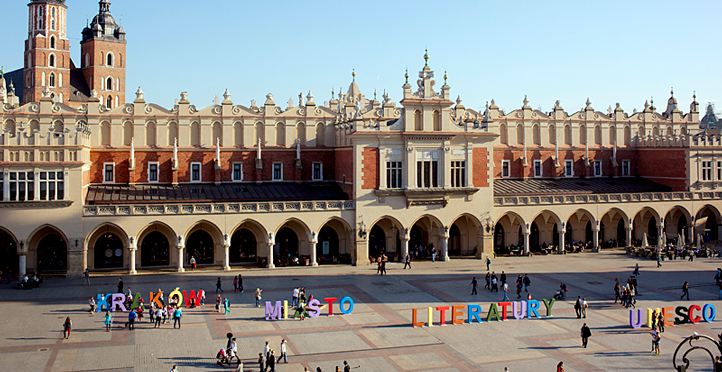 On the 21st of October 2013, Krakow received the title of the UNESCO City of Literature, thus joining the exceptional circle of the Creative Cities Network, comprising also Edinburgh, Melbourne, Iowa City, Dublin, Reykjavik and Norwich. The granting of the title was the effect of three years of efforts made by the City of Krakow and the Krakow Festival Office. Within the frames of this programme, we have succeeded, among others, in the following projects: City Codes, Poetry Entryphone, the Second Life of a Book in Krakow hospitals, Read KRK! or the Literary Map of Krakow. Krakow is particularly friendly towards film-makers. The Krakow Film Commission, a unit active within the structure of the Krakow Festival Office, is very successful in supporting film and television productions. Unusual locations, atmosphere, excellent conditions for shootings and the support offered to producers by the Krakow Film Commission and the Krakow Regional Film Fund attract film-makers from Poland and the entire world to Krakow. Today in Krakow, the results of the architectural and urban planning competition for the design of the Planet Lem Literature and Language Centre were announced. The city’s flagship investment in the field of culture will be located on the site of the former Salt Store in Zabłocie by 2023. The Cracovian tradition of building nativity scenes modelled on the city’s stunning architecture has been included on the UNESCO Representative List of the Intangible Cultural Heritage of Humanity. The 16th edition of one of the most recognisable European early music festivals is shaping up to be impressive. Join us in Krakow from the 15th to the 22nd of April 2019! Alim Qasimov, Alireza Ghorbani, Omar Souleyman, Söndörgő and Amsterdam Klezmer Band, Chico Trujillo, Tuuletar – these are only some of the outstanding artists from many parts of the world who celebrated the Krakow festival’s anniversary with their concerts. The power of this year's edition lies not only in the great variety of presented bands and ensembles, but also a number of accompanying events, including traditional dance nights, workshops and meetings. 16. Sacrum profanum festival is coming! The days from the 11th to 17th of September will be the celebration of Independent Music! The young Italian composer Marco Valerio Antonini is the winner of the sixth FMF Young Talent Award competition. He collected the statuette from Izabela Helbin, director of the Kraków Festival Office, and Robert Piaskowski, artistic director of the Film Music Festival.His winning composition, the suite from the action game James Bond 007: Blood Stone, was performed during the Video Games Music Gala at Tauron Arena Kraków.The composer was congratulated by Richard Jacques, author of the main soundtrack.Paweł Głosz was placed second, with Michael Wilson coming third. More than 100 artists from 10 countries and 4 continents will come to Krakow at the beginning of July for the 20th anniversary edition of the EtnoKraków / Crossroads festival. Arundhati Roy, Agnieszka Taborska, Martín Caparrós and Wojciech Jagielski will be the first guests of this year’s edition of Conrad Festival. We understand the motto of the 10th anniversary edition of the Festival – POP – in a particular and specific way: as the core of our contemporary cultural and political experience.